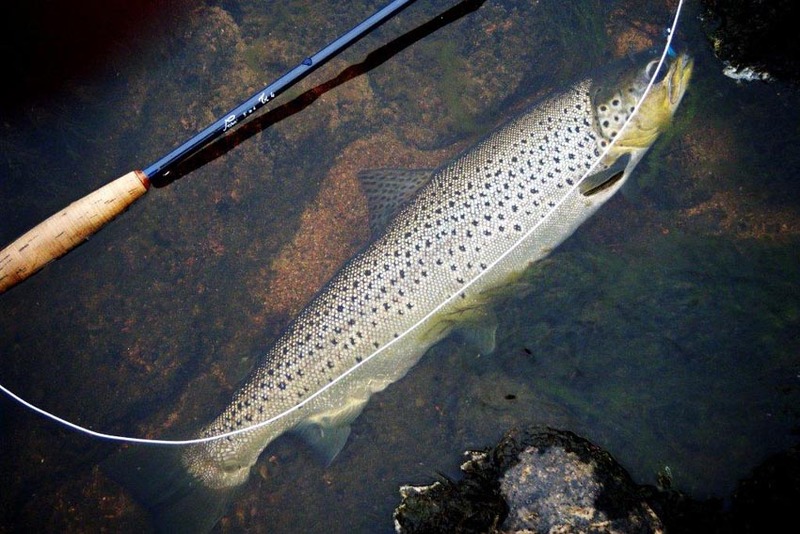 Chavanga Fish Blog: Big trout fishing. One program - salmon and big trout tour. Strelna river. Big trout fishing. One program - salmon and big trout tour. Strelna river. Salmon and trout fishing in Russia. Strelna river. Till now I deliberately did not concern one more important theme. The river is ideally suited for hunting for a large trout. I know that many fishers specially search for the information on places where it is possible to catch trophy trout. On Chavanga, for example, there is a large trout. In good year with successful winter and an ice drift, in the beginning of June it is possible to come specially for catching of large fishes. 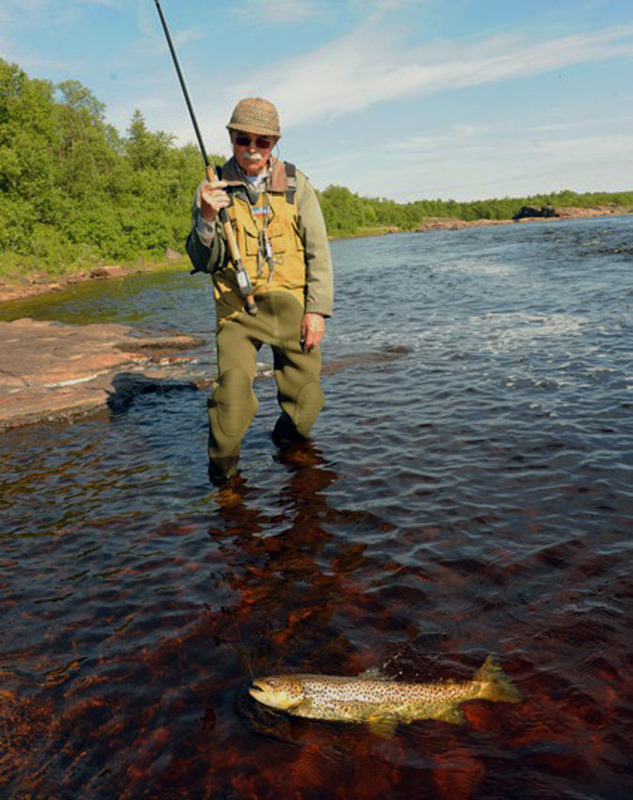 Another matter that already to the middle of June a great bulk of a trout leaves in the sea. At lifting of water temperature above 8 degrees, the majority of fishes which have silvery colouring - Sea Trout roll down in the sea. In the river there are trout with dark colouring, trout whom it is possible to name Brown Trout. They are distributed on the river, migrate depending on a water condition. 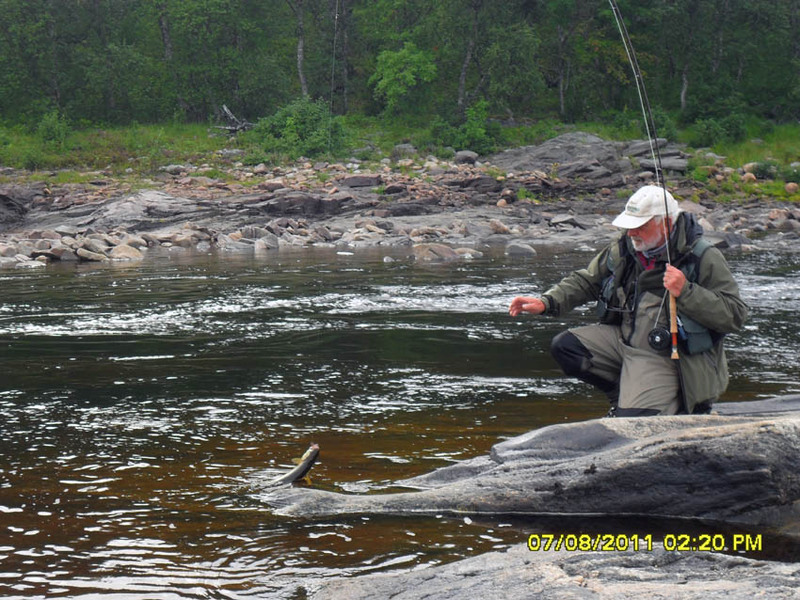 To catch them it is interesting, especially when you see powerful throws of a trout and taking off for air smolts. The big trout eats everything, humpback frey, minnows, smolts and little trout too.. But their quantity never can be compared to quantity of a sea trout. On Strelna a situation other. Probably all is defined both the size of the river and features of its channel, with set of falls and big wide estuary. Fish rises in the river constantly. 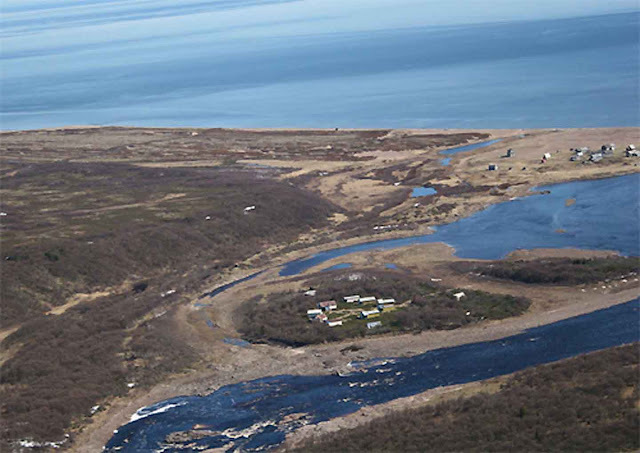 It is connected with spawning migration in the autumn, and after spawning the trout remains in the river for the winter. There is a fodder migration when each inflow brings new party of hungry fishes. 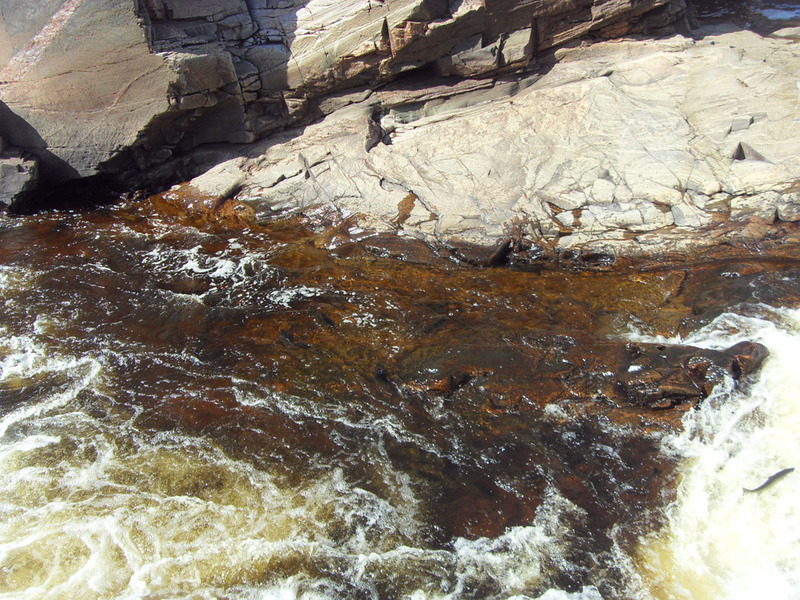 Presence of high falls too affects an arrangement of fishes. 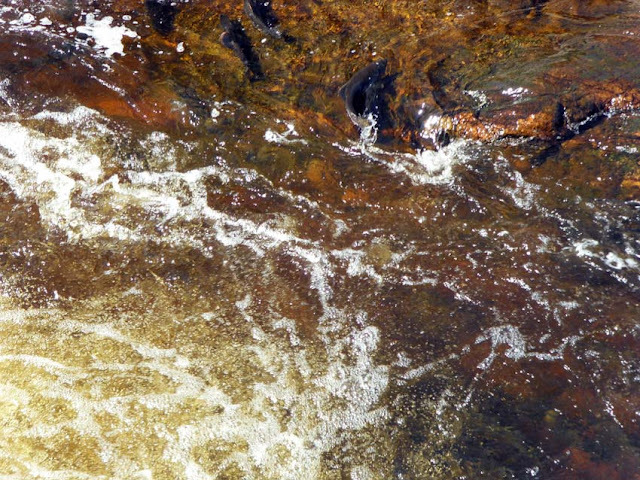 This dry year it was possible to see numerous trout which accumulate under falls and try to pass it upwards. Other fishes took places convenient for hunting, on plums from rifts, on a current among boulders and so on. The largest individuals, as a rule, come across on a hook in first half of season. June and July is the best time for hunting for trophy fishes. 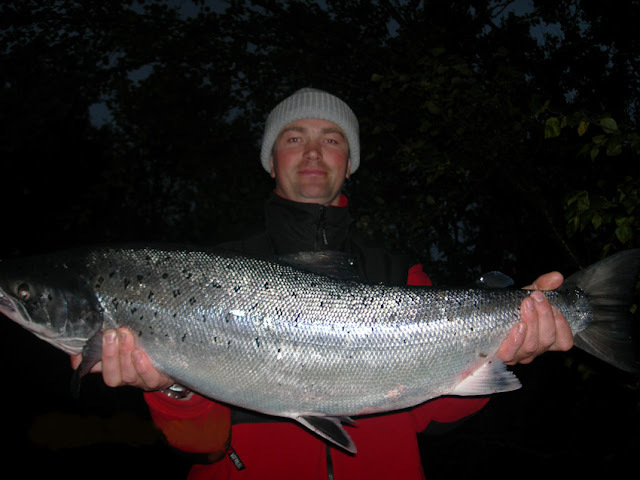 By August and in September the river includes weight of a sea trout. But its weight usually does not exceed 1-2 kilogramme. And the end of May, as well as on Chavanga, June and July is time when it is possible to plan hunting for 2-3-4 kilogramme big fishes. In catching techniques it is possible not to hesitate. 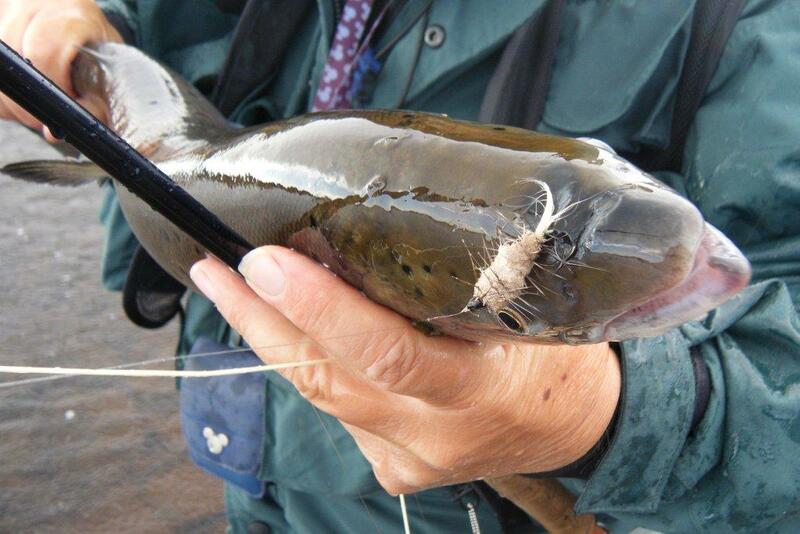 Fish is aggressive and willingly attacks even large salmon flies. 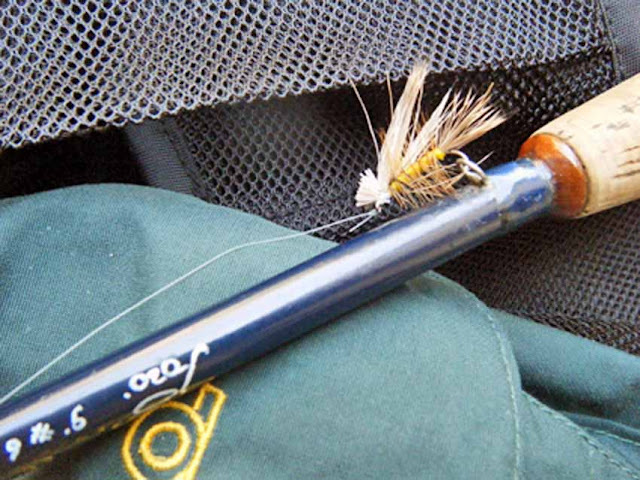 If to hunt on a trout specially, to use fray imitations more correctly. 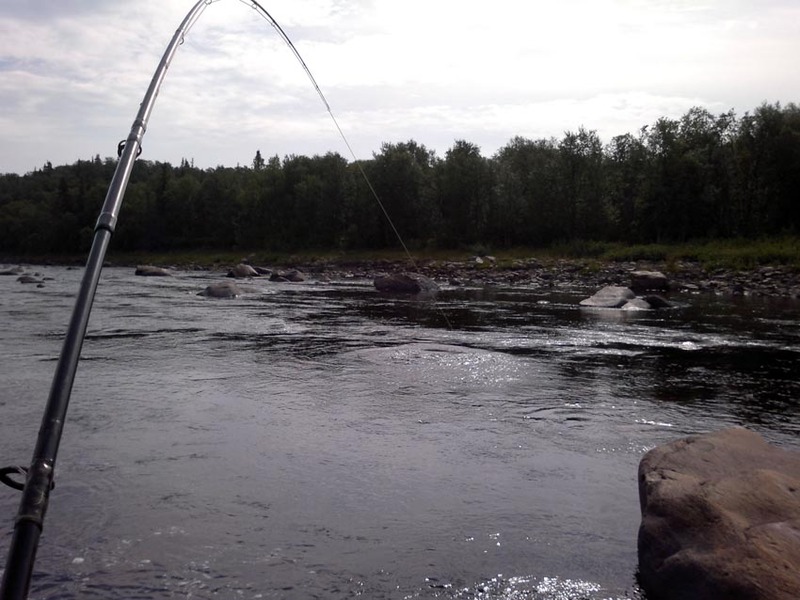 Thus it is necessary to consider that the trout hunts for the humpback frey rolling down in the sea in the spring, and later passes to large enough forage, on смолтов smolts/ Trout selects it under falls or attacks from an ambush among stones. In my opinion, hunting for such fishes can be more interesting than catching of a salmon. But each fisher has a opinion. In what all who caught on Strelna, are unanimous - that the camp on the river is good. The place is chosen successfully, on high island in a river mouth. Absolutely nearby the best places on the river, along coast there is a footpath on which it is possible to pass far upwards on the river. My interest to the river to some extent has inflamed after camp repair has been made. On the new equipped small houses for fishers, have put furnaces and dryers for clothes. 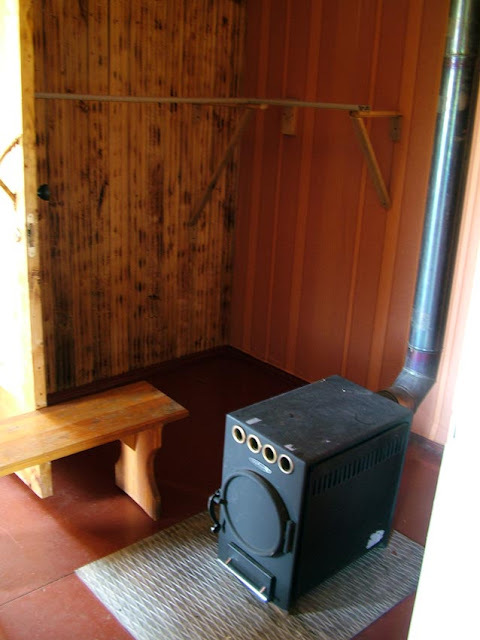 It is possible to take a shower, and the bath - sauna always was in a good condition. 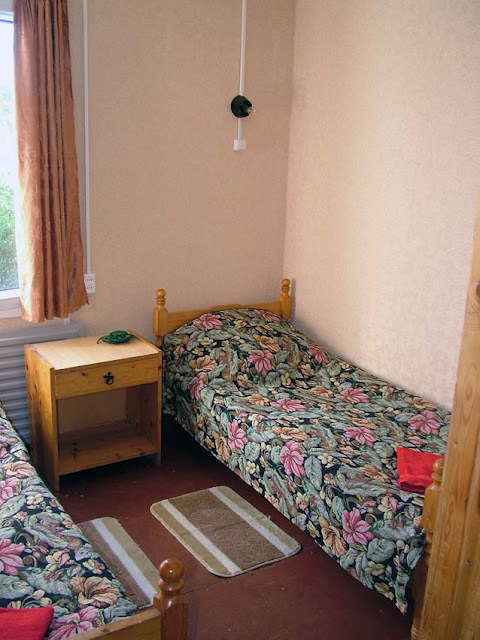 A camp ornament, certainly, is drawing room which serves as a lunch hall and is equipped by a fireplace. 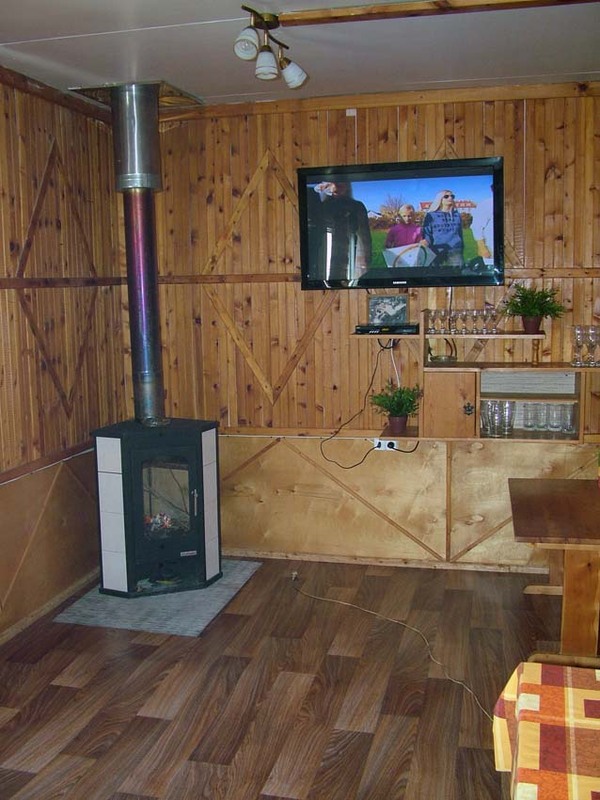 There is a bar and the TV that else it is necessary to sit in the evening and to talk about fishes and flies. It is especially is pleasant to me, as here I am free from an arduous toil on kitchen on Chavanga. Certainly, it is pleasant to prepare something special or to give to friends possibility to please all friends by exotic fish dish. But sometimes it would be desirable to settle down carefree in an armchair behind a table and easy to expect the next lunch dish which will be politely submitted by two charming girls. I liked to catch on Strelna. Such fresh blood is especially necessary for those who has already got used to Chavanga. And after a week on Chavanga it is always interesting to beginners to look at couple of days, how there, further on the East? 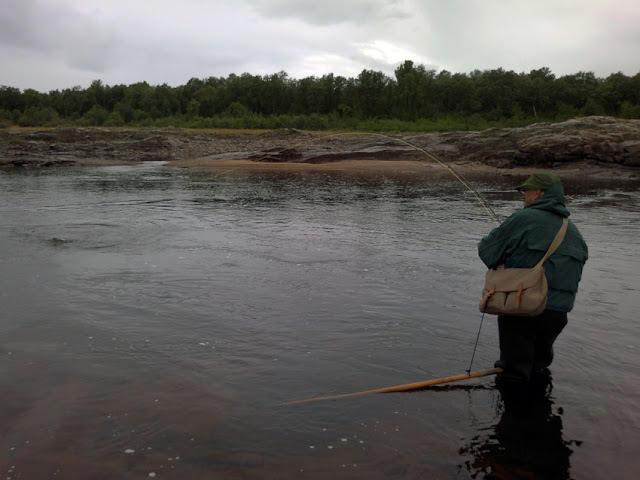 Perhaps, now it is the most interesting variant of fishing on Tersky coast. It is possible to see 2 interesting rivers in many respects similar, but different in character and to spirit. 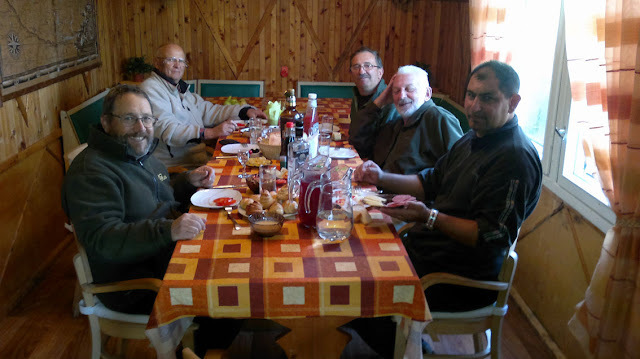 Our Strelna camp in early June and our guide with his great 28 (may be 36?) lb August siver salmon.